This week in gaming: We cap off 2018 with disappointing Riot behaviour, new Fortnite lawsuits, Walking Dead developments, and more! This is the final Doublejump Digest for 2018. Thank you for all of your support throughout the year. We’ll be back on January 20th! In another excellent effort, Jake and Kristian recapped all of the winners and runners-up from the inaugural Australian Game Awards. Kotaku has received an alleged internal email confirming that the League of Legends studio has, in fact, suspended COO Steve Gelb for two months without pay and receive training over “inappropriate and unprofessional behaviour”. According to current and former employees at the studio, Gelb has frequently touched employees’ testicles and bottoms (as part of a “ball-tapping” prank) and farted in their faces. TMZ has reported that Alfonso Ribeiro, the actor who played Carlton Banks on The Fresh Prince of Bel-Air, has filed a suit against Fortnite developer Epic Games over its use of his popular “Carlton” dance in the game as the “Fresh” emote. In related news, Russell “Backpack Kid” Horning later told the outlet that his mother is suing Epic Games on his behalf for the use of the “Floss” dance that he popularised as an emote in the game. David Hecht is also representing Horning alongside Carolynn Kyungwon Beck. Both Ribeiro and Horning join rapper 2 Milly in suing Epic Games over alleged pilfering of dances that they either created and/or popularised. Skybound Games has inked a deal with Epic Games to ensure that all future releases of The Walking Dead: The Final Season on PC will be exclusive to the Epic Games Store. As part of this, customers who have already purchased the first episodes on other storefronts will still get to download the remaining two episodes from their place of purchase. Game key reseller G2A has defended its decision to charge users of its G2A Pay digital payment system €1 (roughly AU$1.61) for not logging in after 180 days to recoup “upkeep” costs. G2A previously drew negative attention, back in 2016, over allegedly selling game keys that were fraudulently obtained. In disappointing news for the game’s fans and Esports participants, developer Blizzard Entertainment recently announced that it has begun scaling the game’s development back to focus on “long-term sustainability”. This should result in a slower content update cycles as Blizzard “shift[s] some developers from Heroes of the Storm to other teams”, with the company also effectively shutting the game’s Esports scene. 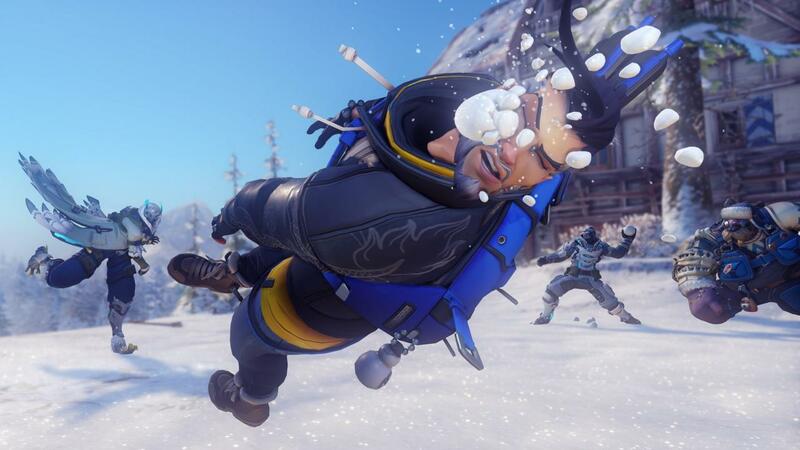 As reported by Kotaku, various Esports personalities condemned Blizzard for the decision and especially criticised the use of a blog post – and not a more personal medium – to convey the news. Remedy Entertainment is back at it with a mysterious new adventure. We’ve got some real classics to look forward to driving! Just under a month away, folks.